As a new parent, it’s not uncommon to have a lot of questions about your child’s first visit to the dentist. At what age should you schedule? What will happen at the first visit? How can you alleviate any fears your child may have? Here, we’ll take a look at the answers to these questions. According to the American Dental Association, it’s a good idea to schedule your child’s first check-up between the ages of six months to one year. 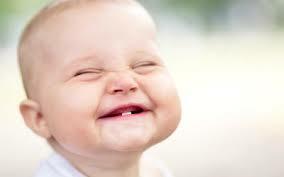 Many infants will have gotten their two front teeth on the top and bottom by this time. Your child will be snuggled in your lap while you sit in the dental chair. The dentist will check for any potential problems, such as baby bottle decay, and will show you how to clean your infant’s mouth. You can also discuss fluoride supplements and get a prescription. This is a great time for you to ask any questions you have. The idea of having your child start coming in at an early age allows us to begin assessing their risk for cavities. Then we can develop a good prevention program for them to keep their mouth healthy. If you have a toddler, the doctor will check the teeth visually for any potential cavities, and will also examine the spacing of the teeth. Your doctor will discuss nutritional habits, if needed, as well as any behaviors such as thumb-sucking or the use of pacifiers. If your child is comfortable with allowing their teeth to be cleaned, the hygienist will let them choose a toothpaste flavor and will gently polish and floss their teeth. The x-rays used to check for cavities in between the teeth will be taken between the ages of three to five. Typically one is taken on each side of the mouth to look for cavities in between the back molars – a very common place for cavities to form. Children at this age are very curious. We do a lot of “show and tell” explaining what our masks, gowns, and gloves are for before putting them on. We also let them touch and listen to our tools so they will not be afraid. They get to go for a ride in our dental chair and can brush our puppets teeth while they learn how to brush their own. Topical fluoride treatments will also be given around this time to protect the baby teeth in your child’s mouth. Fluoride supplements given at home or school are different than a topical treatment. Fluoride placed on the teeth will help prevent cavities on the teeth already present. Fluoride supplements affect the teeth that are still developing to make them stronger and more resistant to cavities. Both types of Fluoride are important to protect the teeth your child has now and the teeth they’ll get when they’re older. At the end of the appointment, your child will get a “goody-bag” with children’s floss, a toothbrush, and a brushing timer. They’ll also get to pick out a toy from the office treasure chest as a fun reward. 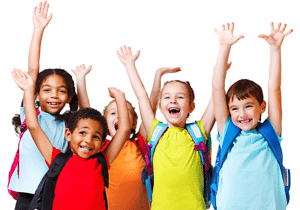 Speaking of fun rewards, one of the most important goals of the first visit is to make the experience a happy one for your child! When dental visits are seen as something easy, it’s more likely that regular dental care will become a habit for life. If your child is a bit older, it can be helpful to read children’s books about coming to the dentist so that they know what to expect. 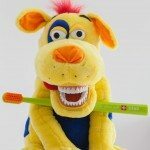 The American Dental Association has created a great website: http://www.mouthhealthykids.org/en/ which has education games, videos and activities to help children of all ages learn the importance of a healthy mouth. You can also talk about their visit the same way you would their birthday – as a special day just for them. Scheduling in the morning when your child is the most rested can be helpful as well. This way the entire experience can be a more relaxed one for them. Also, remember that children often pick up on their parent’s feelings about things. If you treat the first trip to the dentist as easy and fun, your child will be more likely to feel the same way! With a little bit of planning and forethought, you can be sure that your child’s first visit to the dentist will be a great experience for them. Before you know it, they’ll be well on their way to having a healthy smile for their entire life! Next Post: What is the process of getting a dental implant?